The neighborhoods west of U.S. 41 or Tamiami Trail are some of the most sought after in Sarasota, Florida. These communities are very convenient to everything Sarasota has to offer, offer great schools, an eclectic mixture of homes and residents. Below are some of the homes available for sale west of the trail. Listed below are homes and condos for sale in West of Trail. These West of Trail real estate listings are updated daily from the MFRMLS. The area referred to as West of the Trail in Sarasota, FL, is one of the most interesting and eclectic areas of the entire Florida Gulf Coast. The West of the Trail neighborhood occupies a thin sliver of land between the famous Tamiani Trail and Sarasota Bay. The West of the Trail neighborhoods enjoy a close proximity to downtown Sarasota as well as to the pristine, white sandy beaches of the area’s fabulous beaches. You’ll find a wide range of housing styles and prices West of the Trail, ranging from small, exotic, classic South Florida bungalows to gleaming beachfront mansions. The cookie-cutter, boring sameness that plagues many South Florida communities is totally absent West of the Trail, where old meets new and architectural diversity is the design standard. People flock to Sarasota because of both its climate and waterfront location. 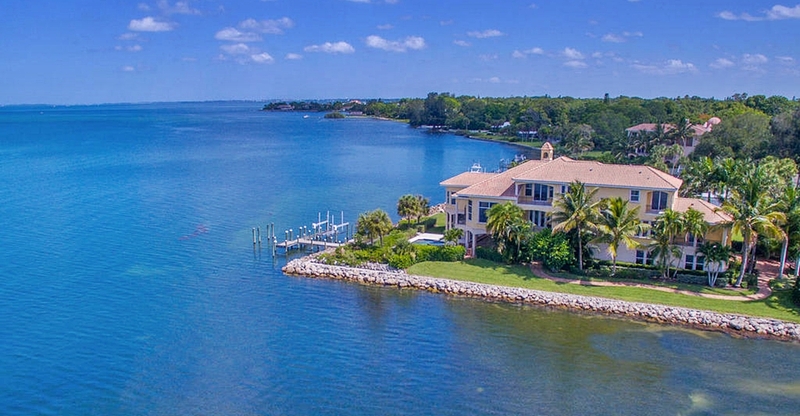 If living in Sarasota intrigues you, be sure to look West of the Trail for one of the most unique and fascinating neighborhoods in the state. There is a lot of diversity in housing options located West of the Trail, assuring that there is something available to please every home buyer. If you plan to make West of Trail your vacation home away from home, there are some sweet bungalow style homes on sale for between $300,000 and $500,000 that will check off every box on your list. Many are close to the beach and have easy access to highways. You may also find residences in this price range with bay views and swimming pools–or, at least, room to build one. Fresh, clean interiors rule the day, but there is plenty of room for updating and making the space your own. The mid-range of the West of Trail market has so much to offer. Most homes are move-in ready and have plenty of space for pools or further development. Every taste is accounted for, whether you like the airy, modern Key West style home, or even a colonial revival! There are so many elegant, clean, pristine homes to choose from that you are sure to find the right one! For the most discerning buyer, the top of the West of Trail market is as grand as you would expect it to be. Privacy and luxury are at the heart of resort-style residences that are as glamorous as they are enviable.